Bush League Breeders Club - The female from this pair of ball pythons finally lays eggs, and there should be some killer combos growing inside. Bush League Breeders Club - And the great combos just keep rolling in. What a year for ball pythons! These stunning gems were produced by Marshall Van Thorre of NoCo Reptiles. YouTube - Justin Kobylka and World of Ball Pythons team up for a holiday Advent calendar, of Ball pythons! Day seven is a Pastel Yellowbelly Spotnose. 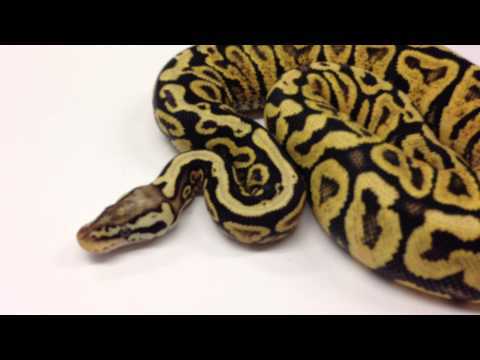 Bush League Breeders Club - Take a look at these gorgeous ball pythons produced by Raphy Martinez.